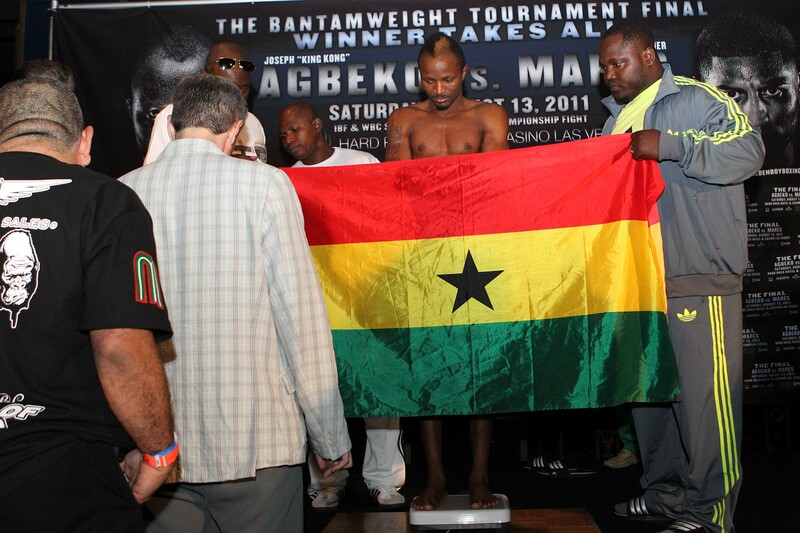 001/002: After weighing 118.4 pounds on his first try and then, immediately thereafter, 118.2 (fully stripped with Ghanaian flag in front of him), Joseph King Kong Agbeko returned to the digital scale (with shirt on) approximately 45 minutes later and made 118 for his IBF title defense tomorrow/Saturday, Aug. 13, against undefeated Abner Mares in The Bantamweight Tournament Final: Winner Takes All live on SHOWTIME® (10 p.m. ET/PT, delayed on the West Coast). 003: Mares, whose WBC Silver belt will also be on the line in what will be an action-packed 12-round fight at The Hard Rock Hotel & Casino in Las Vegas, weighed 117 1/2 pounds on his first attempt Friday at The Hard Rock. 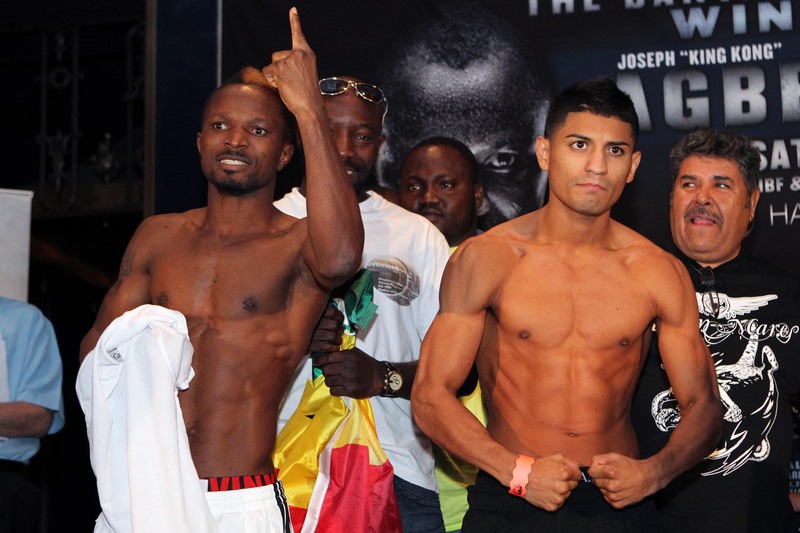 004/005: Agbeko (left) and Mares pose and face off at the weigh-in. Doors open Saturday at 3 p.m. 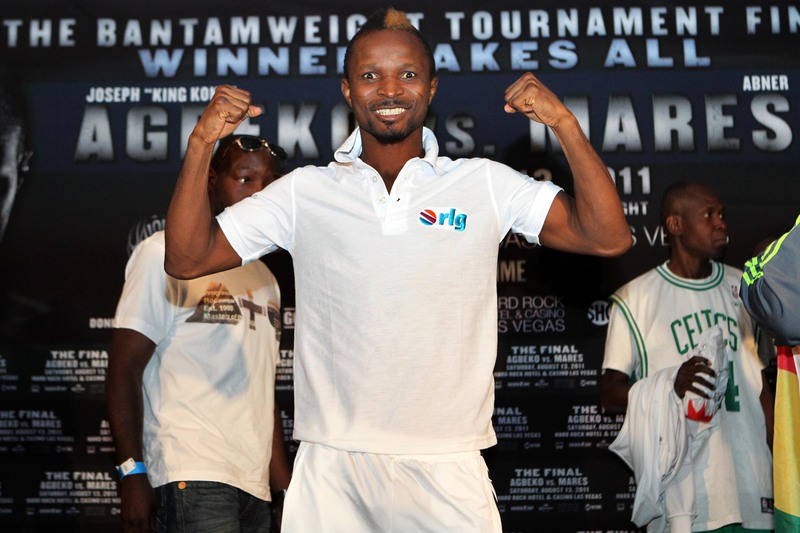 The first non-televised undercard fight begins at 3:30.